With Typedrummer Kyle Stetz created an incredibly simple website that still has the power to destroy your morning’s productivity. 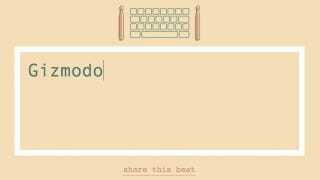 The idea is simple: turns whatever you type into a hypnotic sequenced drum beat. You can create the humble beginnings of a hip-hop track by simply mashing your keyboard.